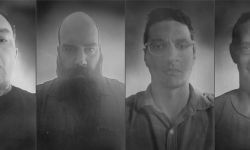 Ed Gein have officially come to an end with the band sharing the following statement on their disbandment and a new project some of the now former members have in the works.  That latter outfit is dubbed Shadow Snakes and they have been in the studio as of late tracking their full-length debut with twelve songs planned for it. Ed Gein is done. Time passes, things end, new things begin. In my mind Ed Gein is a band of kids in their early twenties who practice for hours every single night of the week and have endless energy. That hasn’t been us for a long time. The reality is that time marches on. Personalities evolve. Interests change. Attitudes change. Responsibilities accumulate. Goals change. If you’d asked twenty year old me what I thought I’d be doing when I was 36 I’d probably have said something like “I don’t know…dead?” I certainly wouldn’t have said that I’d be married and built my own business. The reality is that, to us, and maybe to some of you, Ed Gein hasn’t felt like Ed Gein for awhile. It’s good to know when to let things go. Have we dragged it along too long already? Maybe. Sometimes it feels that way. I’m sure some of you are thinking “wait…Ed Gein didn’t break up a long time ago?” No. And the specter of Ed Gein has definitely been looming over us. It’s time to salt the corpse and light it on fire to start anew. This is not a bad ending. This is not an angry divorce. This is a new chapter. Jesse, Graham, and I are continuing on in a new form. We wanted to try things differently to better fit our changed lives. We aren’t those twenty-something year olds that practiced non-stop and couldn’t wait to get back in the van. Those guys are dead. In their place are three guys who are closer to 40 than 20, with different priorities. Time to let those 20-something year olds go. So we’ve made changes, and those changes felt like a new band. 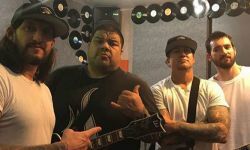 Madball Set June Release For New Album "For The Cause"